TJ Grant was hoping to face Martin Kampmann on June 20th as part of the TUF 9 Finale, but Kampmann felt the fight didn’t make any sense in terms of him climbing up the welterweight title ladder. Grant understands where Kampmann came from though, “I really don’t have as big a name as he wants,” Grant told Metronews. At least Grant will remain on the June 20th card as now he’s set to face former IFL veteran Rory Markham in a welterweight showdown. 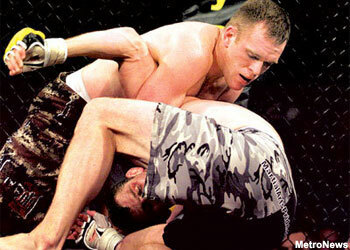 Grant is coming off a victory over Ryo Chonan at UFC 97. Markham on the other hand is coming off of a KO loss to rising star Dan Hardy at UFC 95. Nevertheless, if Grant wants to get an opportunity against fighters like Kampmann he has to continue to win and June 20th will be his first shot.